Flight attendants on a plane out of Heathrow accidentally played an emergency crash landing message to passengers. There was a fatal stabbing in Enfield on Friday night. Rumour has it Westminster Abbey might be getting some wedding action next August. Whoopi's bowed out of Sister Act a couple of weeks early after her mother had a stroke. The British Museum was evacuated yesterday over a suspected gas leak. An Epping Forest spider (eek) has returned from apparent extinction. 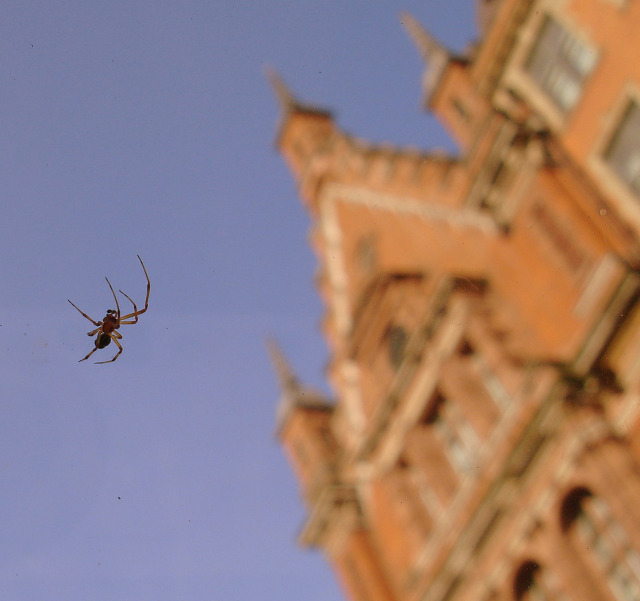 City spider, by clav via the Londonist pool. Autumn already, huh?